The other day I mentioned that I had a bit of an embarrassment with my Fetchings. Imagine my surprise when I found that I had much more to be embarrassed about. Perhaps that series was needed after all? I’d like to think that this will be Part 1 of a one part series, but who am I kidding? My kid has a big head, but that big?? 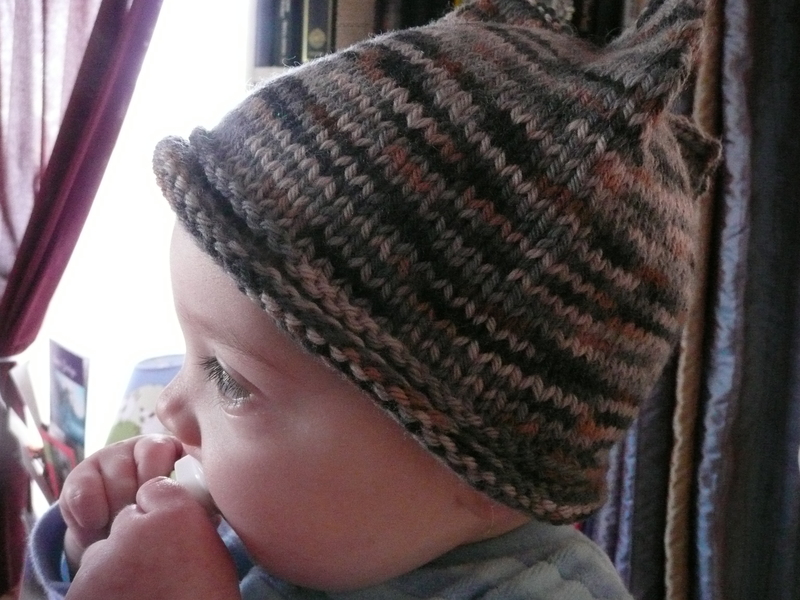 The variegated hat fits the boy perfectly. 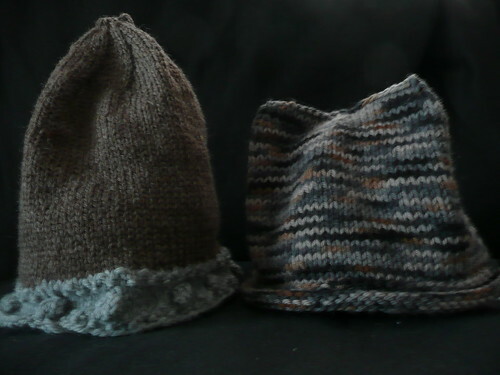 If you compare the two, the decreases for the crown don’t even start on the Viking hat until several rows after the variegated hat has been bound off. And the top of the Viking hat? A bit nipply to my eyes. 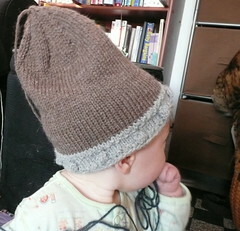 Now, without digging up the pattern at this moment (there’s a cat on my lap), I remember that I was to knit until the hat was 5″ before beginning the crown decreases. I very faithfully followed that direction. I think I should have measured my son’s head first, huh?